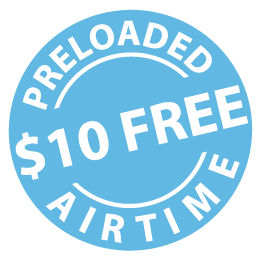 Prepaid ONE SIM card with direct dial convenience in 100+ countries, free incoming SMS, without any extra fees or contract. Worry-free international roaming data bundles without contracts, no term activations commitments, and seamless coverage in the USA, Europe, Caribbean, & more. Your friends get free airtime too! Tell your pals about us and they'll love you for it. See why iRoam is just better. 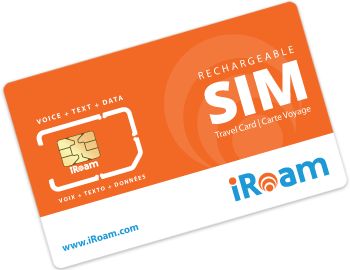 You'll need just a single iRoam SIM to use globally in the USA, Canada, Europe, Caribbean, etc. Money-back guarantee, plus there are no roaming fees or contract required. Get a free Canadian, USA, or UK number. You can also add other international numbers. Know exactly what you are spending with our direct dial, rechargeable pay-as-you-go service. Our SIM card comes with free incoming SMS globally, free voicemail, and free shipping. We've partnered with the world's best networks like Vodafone, O2 and many more. Prepaid SIM cards, save up to 90% and no roaming fees. Extensive coverage that gives you total freedom to talk, text, surf and SAVE. Enjoy affordable international roaming data bundles for your iOS, Android, and other mobile devices. Search for rates and discover huge global savings. Our best roaming rates without extra fees or roaming charges, plus direct dial convenience in over 100 countries including USA, Canada, Europe, Caribbean & more. Our partners, and brands that use iRoam. Take your business where it needs to go and grow. Cost-effective and market-leading suite of enterprise connectivity, security and M2M solutions to help your organization. iRoam is formerly known as Brightroam and G3 Wireless (G3 Telecom) which currently maintains an A+ Better Business Bureau rating. iRoam is formerly known as Brightroam and G3 Wireless which has an A+ BBB rating. "I have been a G3 wireless customer for about a year. Just renewed for another year. Excellent service and would recommend G3 Wireless to others without any reservation. Very reasonable rates - domestic and international." "We live in Canada and travel to the US 2 or 3 times each year. After paying huge long distance & roaming charges with our cell phone provider, I discovered G3 and for the past 3 years I have been using a G3 Wireless SIM card in my phone when we travel, both in the US and internationally. I have recommended G3 to many friends, and look forward to continuing to use their services when travelling. Thank you for this service!" "Excellent! The 3G SIM card worked just as advertised. We traveled to Bermuda and our phone worked for both incoming and outgoing called at a reduced rate compared to my Verizon Wireless account." *Terms and Conditions Apply. Promotion only applicable for Prepaid iRoam SIM airtime. Customers can only redeem promotion once per account, no exceptions between Nov. 24-27 2017.